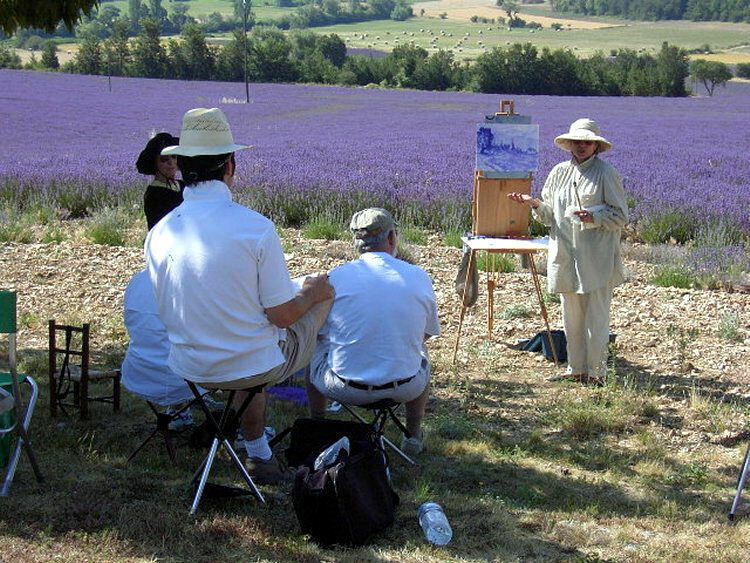 Since 1997, we have welcome artists of all levels to our Provence workshop. And we want to welcome you, too! 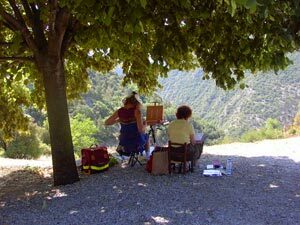 Whatever is your level of practice in drawing and painting in oil, pastel or watercolor, you will find this workshop compelling, life changing and an unforgettable experience of a life time. 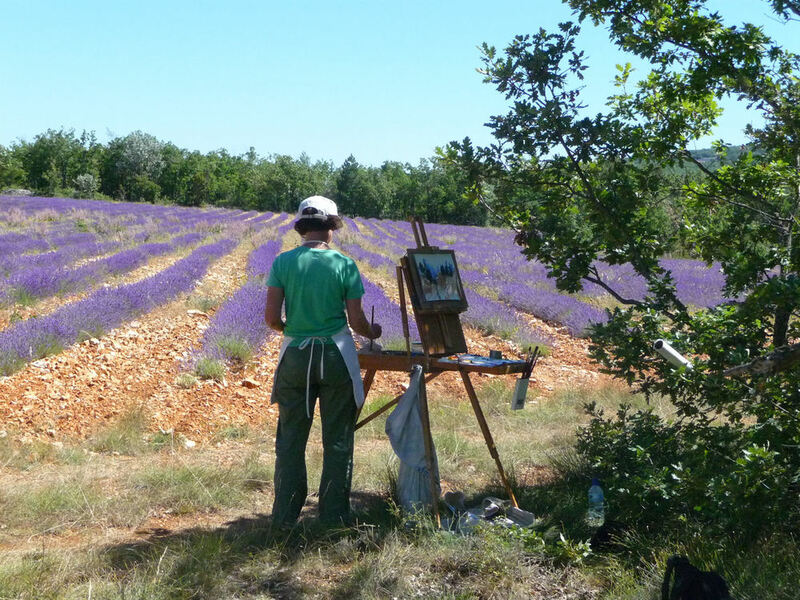 We will be painting in lavender fields in full bloom, surrounded by their soothing natural perfume and the gentle humming of bees in the fields. We will also be painting in medieval hilltop villages, where all is quiet and serene. Cobblestone streets, charming cafes with blossoming oleanders and hollyhocks, will take you to the natural charm of Provence as you always dreamed to experience it. 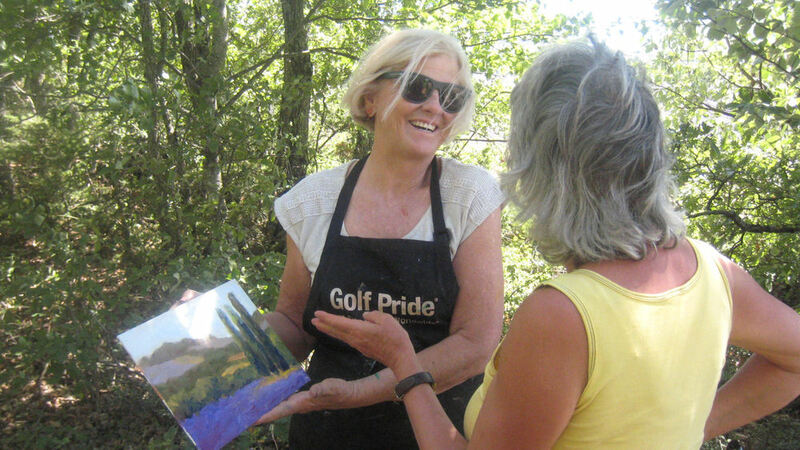 In this "Breakthrough" workshop you will be focused on painting and sketching to your heart's content, and you can be sure that you will return home a different painter. 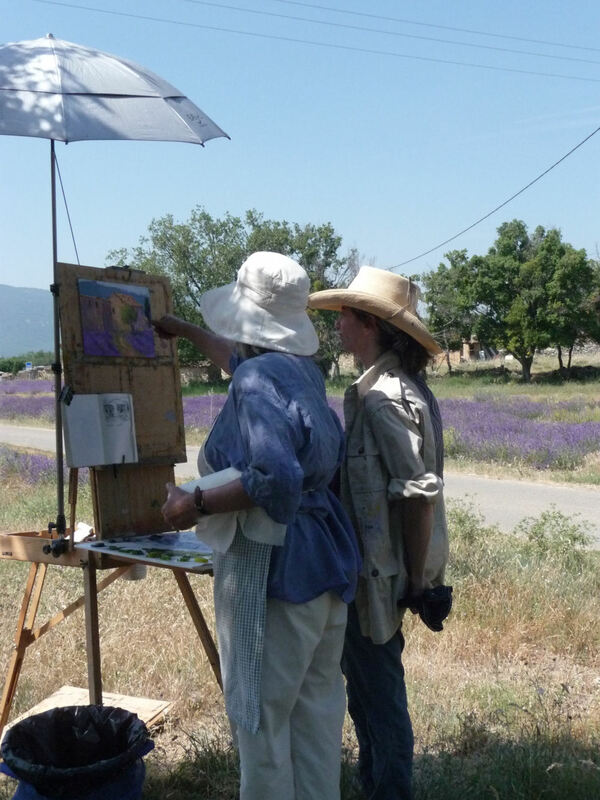 Every day of the workshop we will go paint and draw in a different village or field. There is quite a bit of variation in the days activities, so it is always exciting. Jim and Brigitte watch the fields very carefully before your arrival while they are in their home for a month before your arrival. 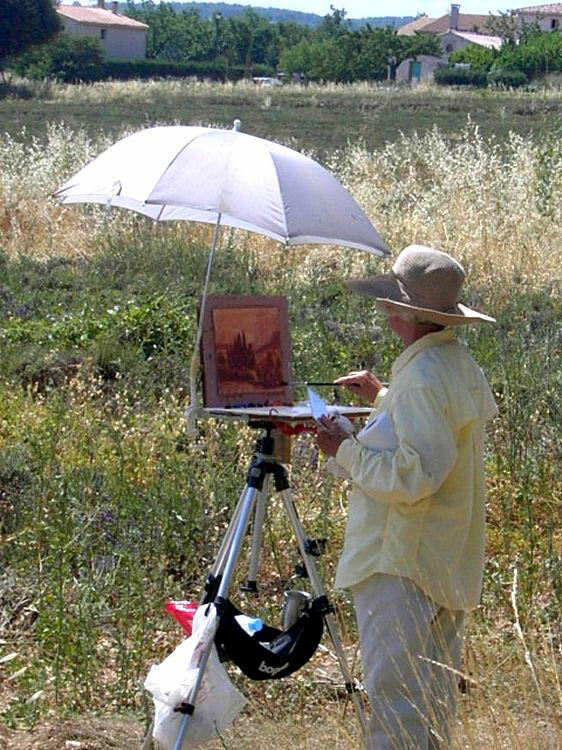 They create a program designed to paint the best locations according to how the fields are blossoming. Every one will be given a day by day, detailed program of the two week stay. This workshop can take twelve people and we have a few rooms available for couples with different options. There is a discount for spouses who do not paint. 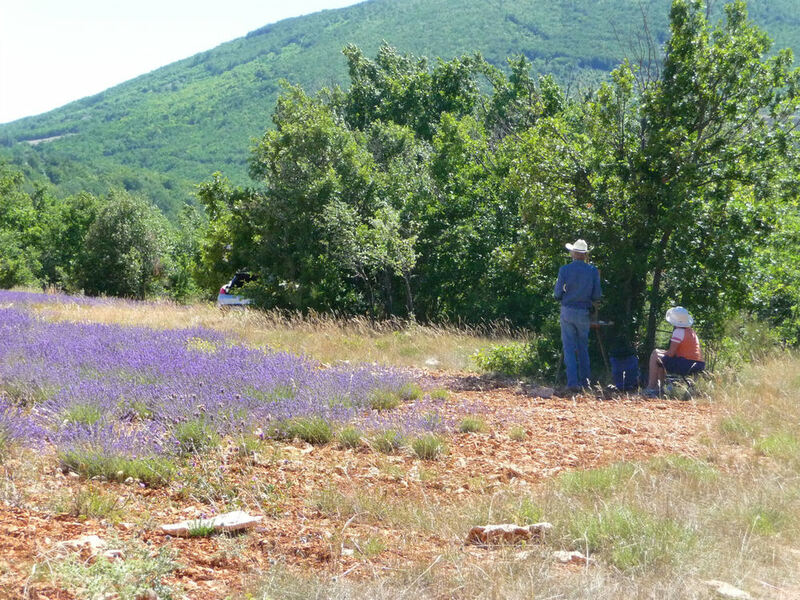 So we want to invite you to take a virtual tour through this site to see the lavender fields, the old farms, the ancient villages, the charm and traditional beauty of authentic Provence. 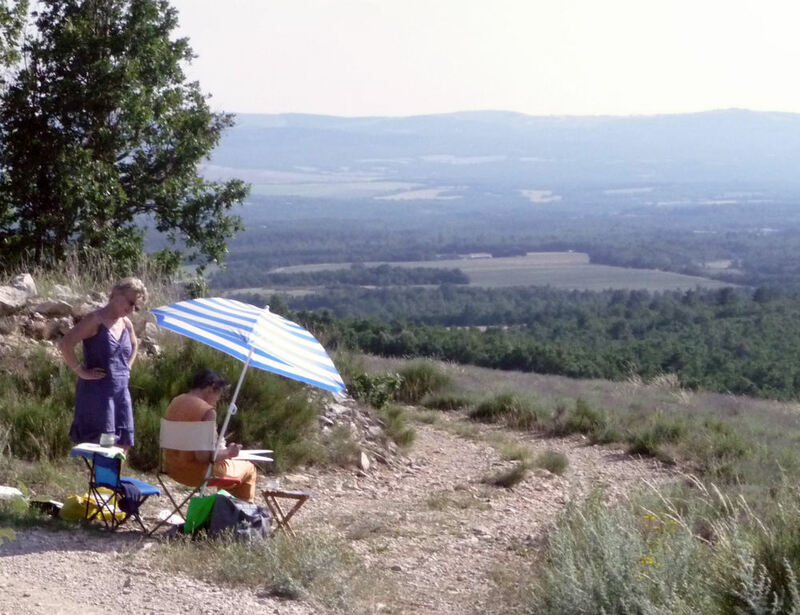 Come read what Provence alumni want to share with you about their experience and why so many return to paint in Provence with us. The group stays in a Bed and Breakfast, in the medieval village of Simiane la Rotonde rich in culture, since the Middle Age. The most beautiful classified villages in the area. Brigitte and Jim's home is a 15th century "maison de village" in a small, medieval village near by with a painting studio. It makes it much easier to help you, and we are able to loan you material, such as easels and more. See details in the material list. Brigitte Curt and Jim Smyth. 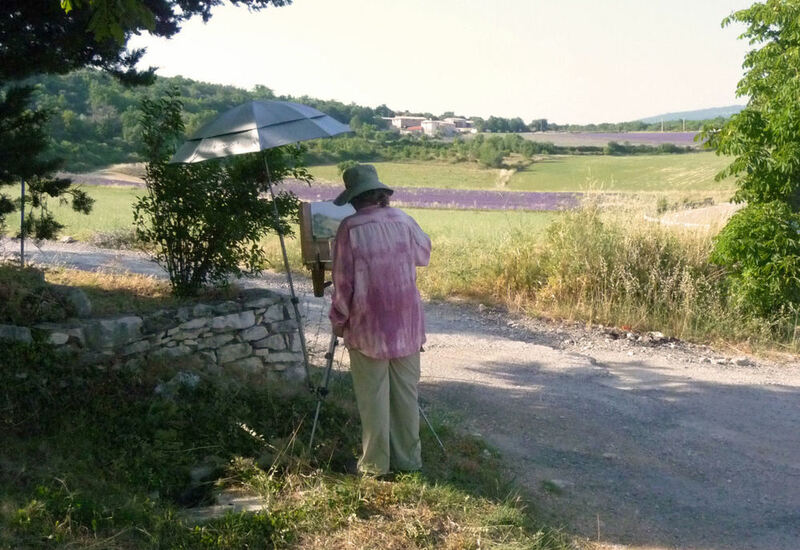 Please join us and our students in this virtual time painting in Provence, lavender fields and hilltop villages.